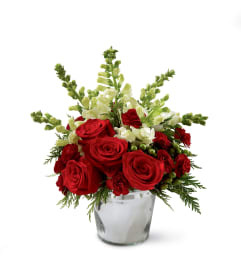 Merry and bright, this joyful holiday bouquet is ready to spread Christmas greetings with each beautiful bloom. 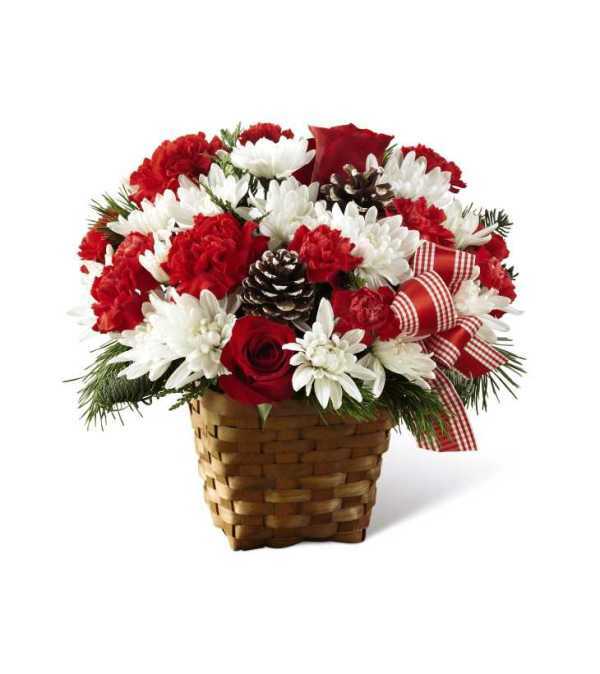 Red roses, red carnations, and red mini carnations are highlighted by snowy white chrysanthemums, white-tipped pinecones, and lush greens, accented with a red country check ribbon while seated in a dark stained woven woodchip basket. 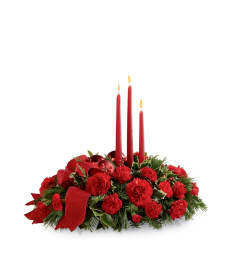 A Christmas flower arrangement that speaks to the happiness and treasured moments that this special time of year holds!